City Stickers Available at Alderman Smith’s Office Reviewed by Edgeville Buzz on June 1, 2009 . 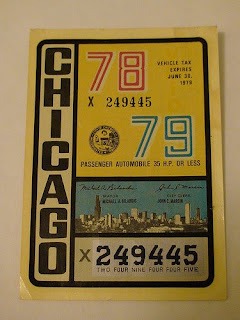 Chicago vehicle stickers and resident parking permits will be available for sale this Thursday, June 4th, from 10am to 5:30pm at Alderman Smith’s office (5533 N Broadway). Credit cards are not accepted, and you should bring your renewal form with you.